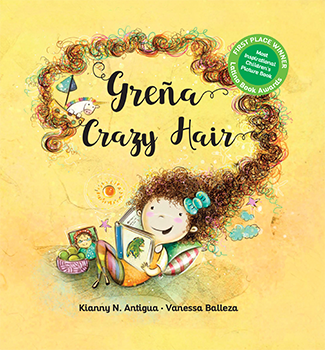 This colorful and empowering bilingual book teaches all of us that we are all unique and special, just like our hair! Meet Kiara, a smart, happy, creative and beautiful little girl who learns to love her curly hair, enabling her to develop self-acceptance and self-respect. First place winner in the Most Inspirational Children's Picture Book category of the Latino Book Awards! First Place at the International Latino Book Awards for Most Inspirational Children’s Picture Book – Bilingual!